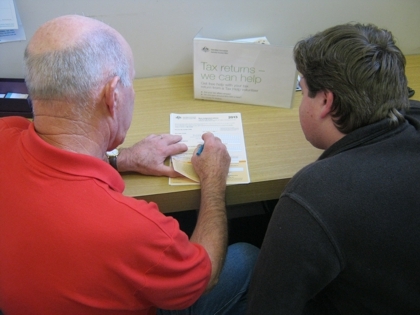 Volunteer workers are trained by the Australia Taxation Office to assist people to fill in simple tax returns. This service is offered to people on low incomes, and available from mid July to the end of October each year. Appointments fill up fast, so people interested need to book early.